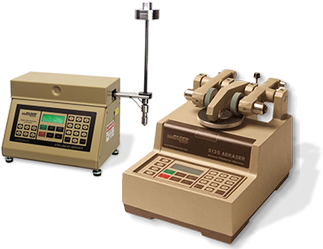 NOTE: Many of the linear scratch / mar attachments may also be used with Taber's Linear Abraser. Despite the similarity in how scratches are generated, there are numerous styli referenced in test methods. Taber offers a number of these interchangeable tools, but cautions against comparing results obtained using different shaped styli. The shape of the stylus can impact the stress distribution as the stylus tip is moved across the material surface as well as the frictional drag. Regardless of the styli shape, it is important to monitor the wear of stylus tips. Over time, tips may become blunt which increases the contact area of the tip and can reduce the cutting action making the tip less sensitive. Asymmetrical wear on the stylus tip may also occur which can increase the friction during scratching. And due to material differences in the test specimen, there is no way to predict how long the tool will last. If you have access to optical measurement equipment that offers an accuracies of ±0.01mm and ±1°, you can monitor the wear on your scratch tools. Inspect the tool at set intervals (e.g. every 250 or 500 tests), if any flatness or other kind of damage is found the scratching tool should be rejected and replaced with a new one. Because of its symmetrical characteristics, spherical tips allow for the stylus to contact the test surface without concern about orientation or alignment. This feature makes spherical tips the most common shape utilized for scratch testing. 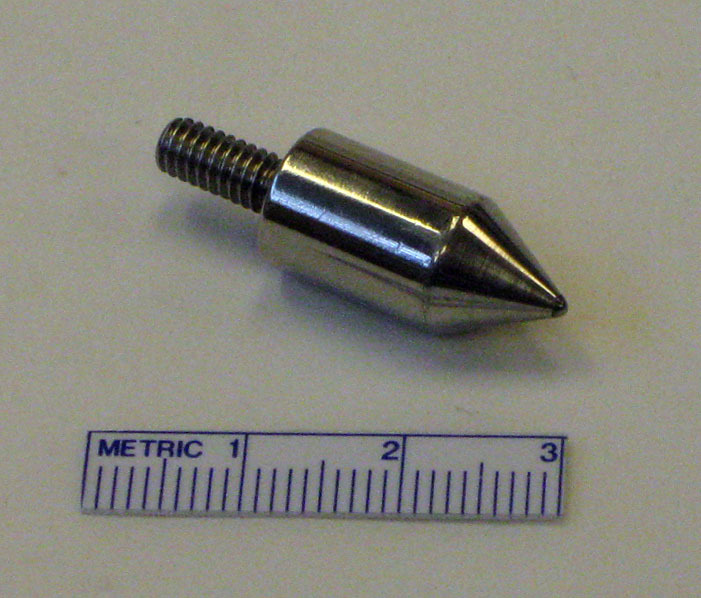 Conical - These scratch tips are made from tungsten carbide brazed onto a 0.375" diameter stainless steel body. 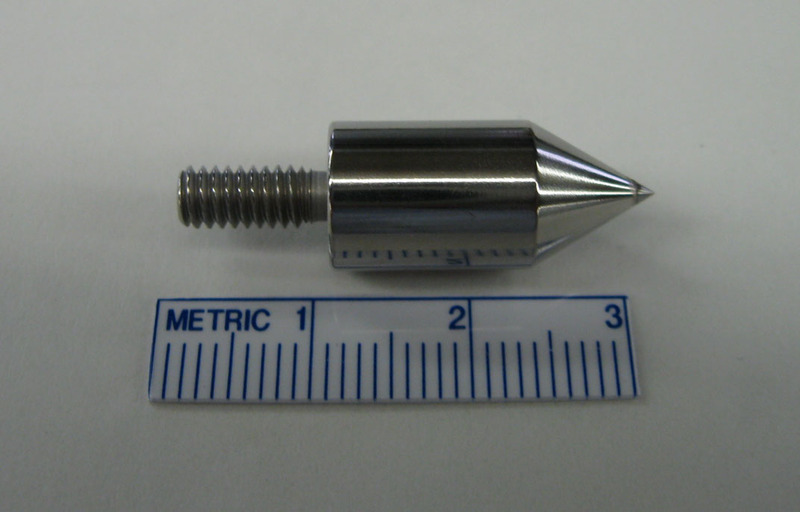 A #8-32UNC-2A threaded post allows this tip to be screwed directly to the bottom of the Linear Abraser spline shaft or Reciprocating Abraser weight post. All tips include a 60° angle. Hemispherical - A tungsten carbide ball is brazed into a 0.375" diameter stainless steel body. 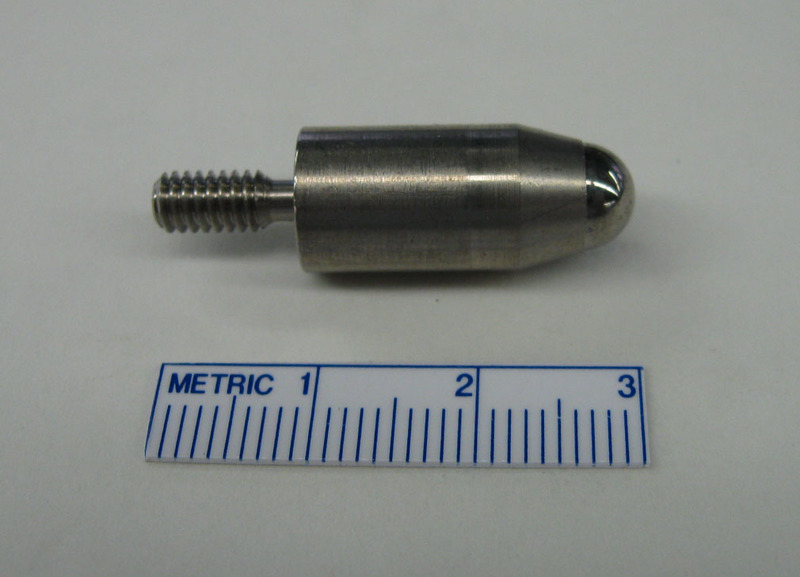 A #8-32UNC-2A threaded post allows this tip to be screwed directly to the bottom of the Linear Abraser spline shaft or Reciprocating Abraser weight post. 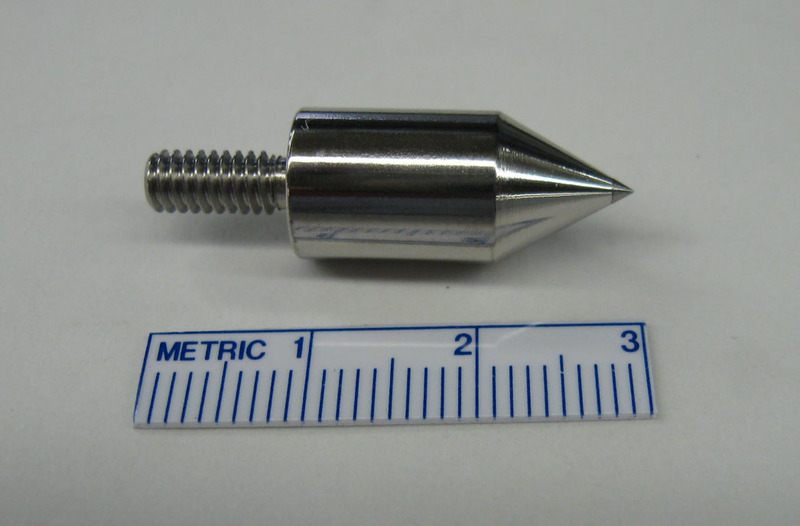 The 1.0mm diameter tips include a 60° angle and the 7mm diameter tip includes a 75° angle. 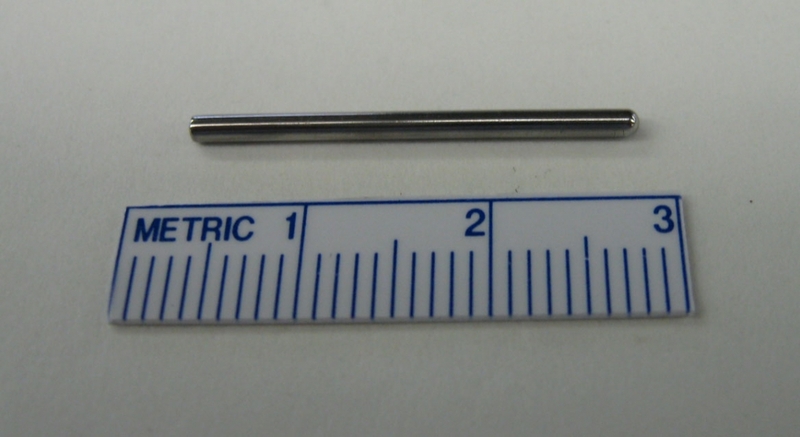 Taber also offers a 1.0mm diameter tip that includes a steel ball (HRC 60-66). 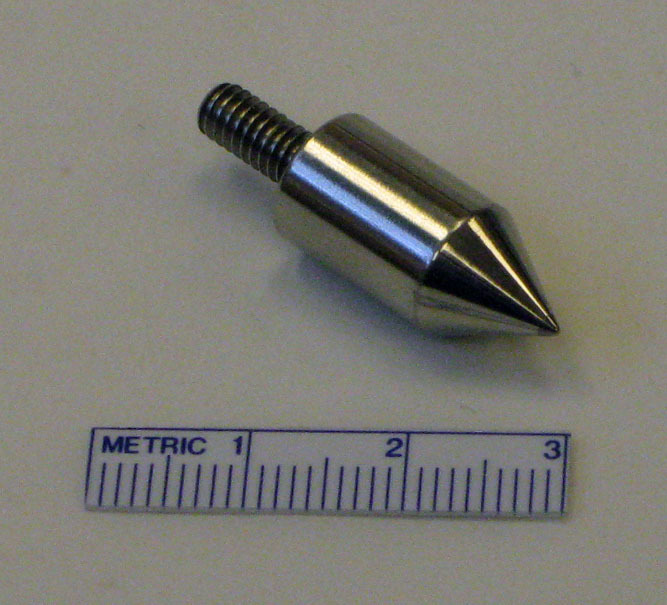 Similar to the tungsten carbide tip described above, the steel ball tip includes a 60° angle. Taber offers two industry accepted diamond tools. 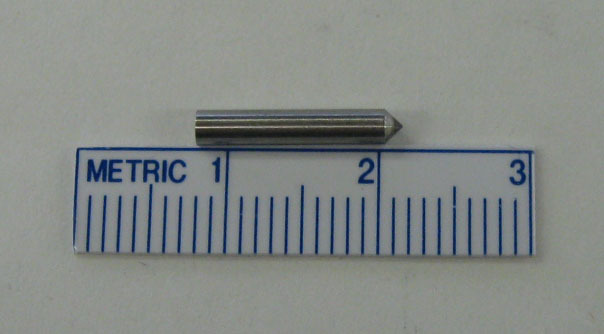 The diamond tip is conical and lapped to a 0.092" diameter, 0.531" long stainless steel rod. The 3 mil and 3.5 mil radius tools include a 90° angle, and the 0.3mm radius too includes a 60° angle. 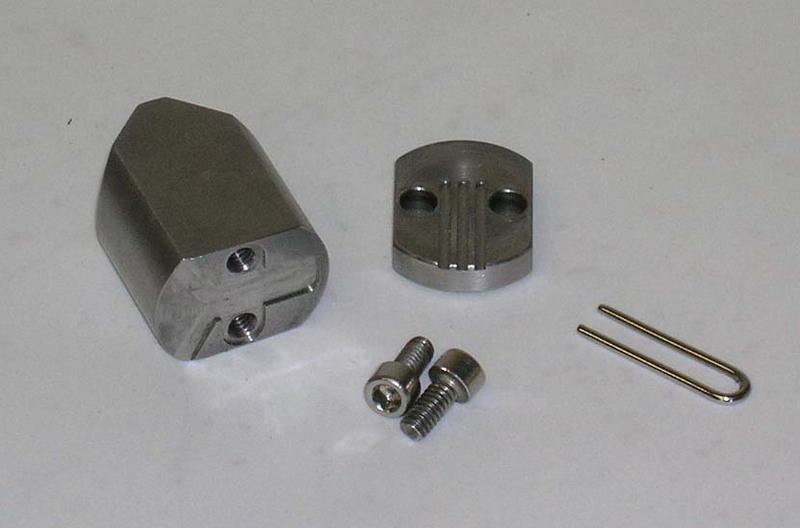 Either tool requires one of the following attachments to hold the diamond tool securely. 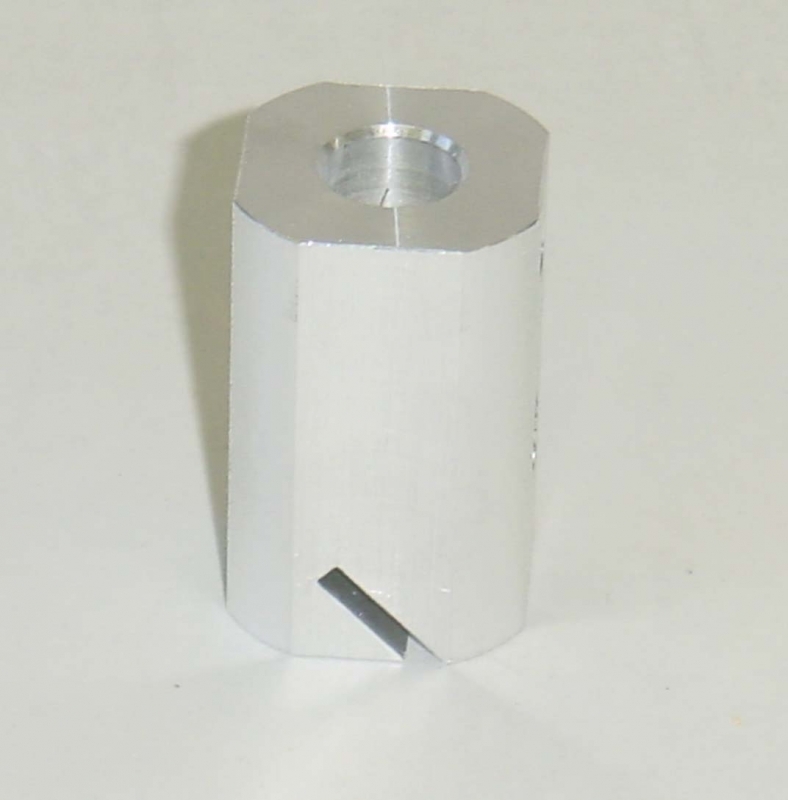 The Diamond Tool Holder is a cylindrical holder that the diamond tool is inserted into and held in place by a set screw. 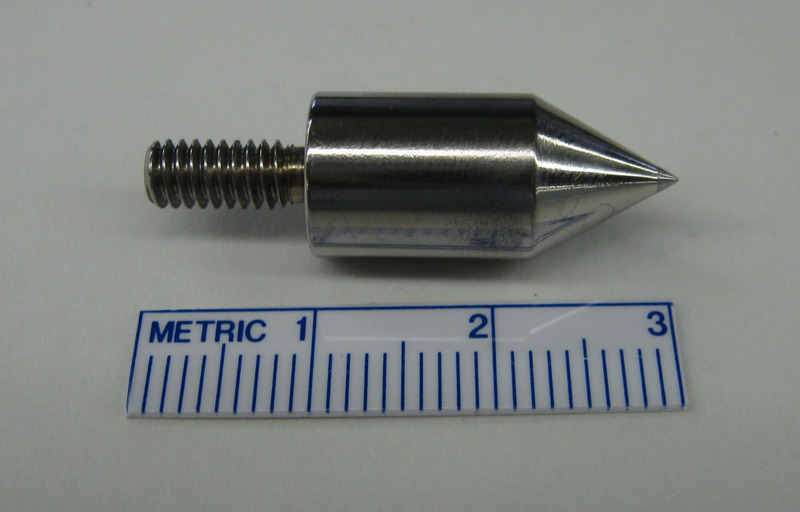 A #8-32UNC-2A threaded post allows this tip to be screwed directly to the bottom of the Linear Abraser spline shaft or Reciprocating Abraser weight post. The Scratch Kit includes both diamond tools along with a 7x measuring magnifier. 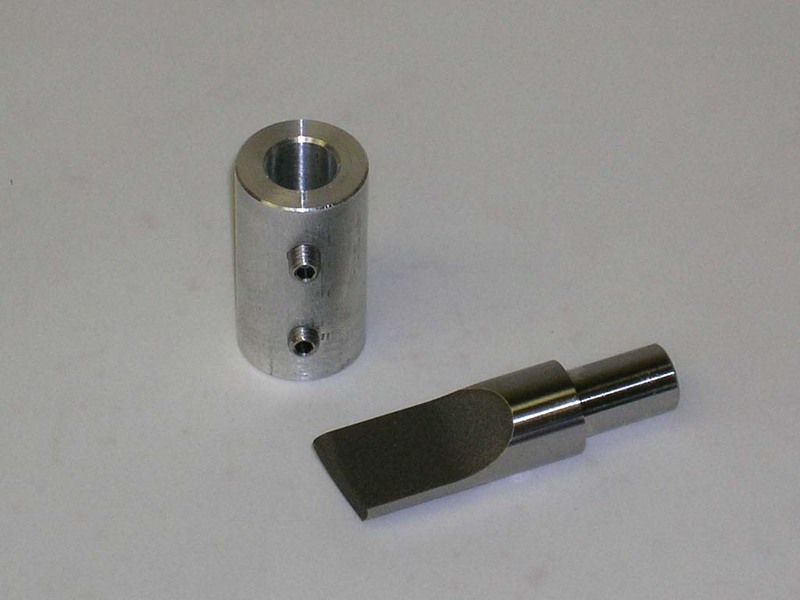 This attachment is available as steel [98g] or aluminum [33g], and mounts to the bottom of the Linear Abraser spline shaft or Reciprocating Abraser weight post. Designed to accommodate four different styli, the Multi-Mar Scratch Attachment is available in a 45° or 90° orientation. 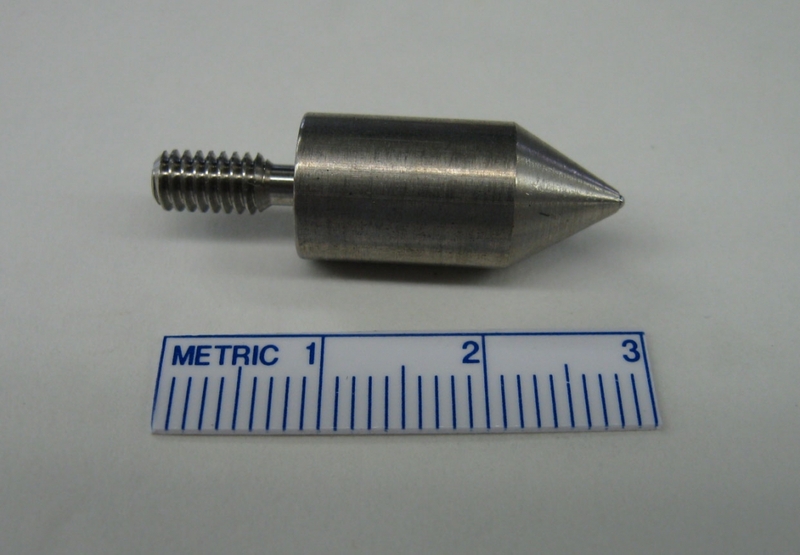 This attachment is typically used to evaluate plastics, paints, and coatings for resistance to scratch and mar. Loop Stylus - Made from 1" long by 1/16" diameter tool steel heat treated to HRC 55-61 with an outside radius of 0.128" and 8 RMS surface finish (included with each Multi-Mar Scratch Attachment). 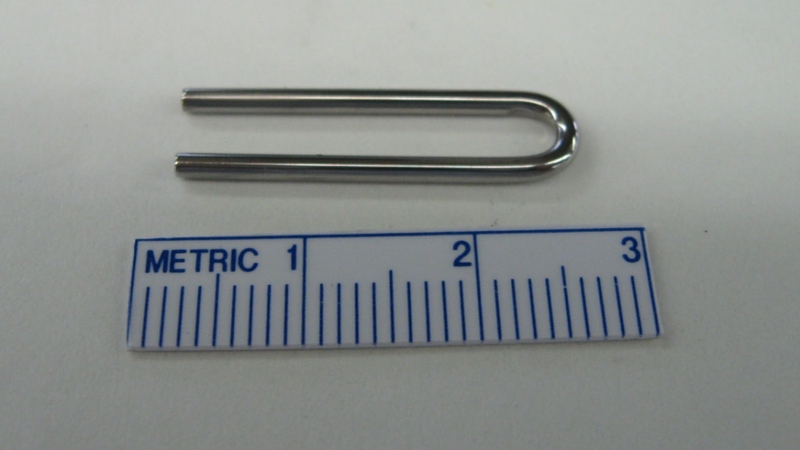 Needle Stylus - Made from stainless steel with a 1.5 mm diameter tip, hardness of HRC 55-61 and 8 RMS surface finish. Hoffman Type Stylus - Made from tool steel heat treated to HRC 55-61 with a 0.275" diameter contact arc and 8 RMS surface finish. 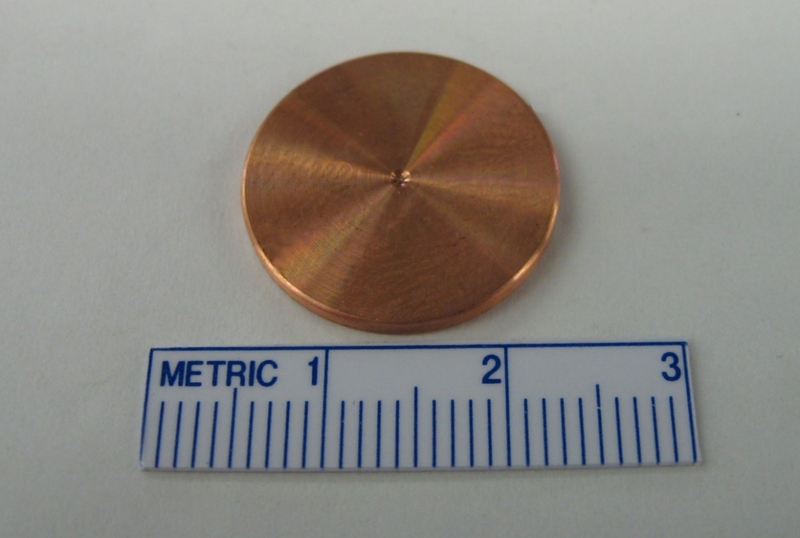 Standardized Copper "Coin" - Manufactured from copper alloy 101, this coin has a 0.75" diameter and is 0.06" thick with an edge radius of R0.010". 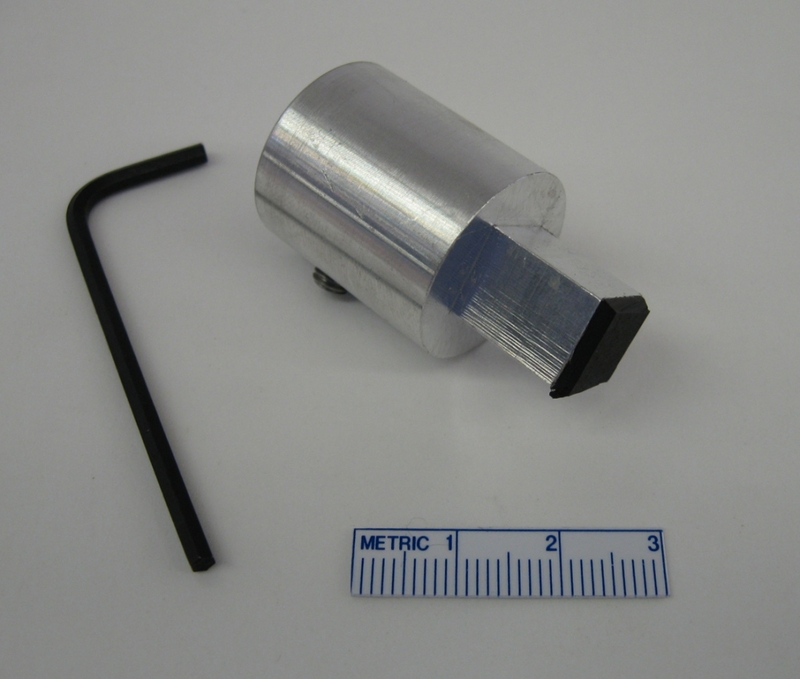 The hardness of this tool was selected to simulate the hardness of the human fingernail, and is intended to provide a repeatable "Fingernail Scratch" or coin scrape test. It is also useful in determining the durability of scratch off applications used on lottery tickets and similar products. Although the HB grade is considered to be the standard, there may be variation from one manufacturer to another. Also, it has been observed that German HB's tend to be harder than United States HB's, which are slightly more hard than Japanese HB's. 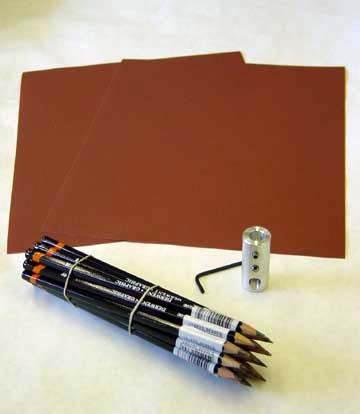 The Scotch Brite® Kit can be used to evaluate material resistance to abrasion and damage caused by "scrubbing". An aluminum block that is 1.18" square provides a flat surface to which ScotchBrite® General Purpose Pads or ScotchBrite® Light Duty Pads can be attached. Taber's Square Finger Holder is designed with either a 10mm or 20mm square contact area and is ideal to use with steel wool when testing the mar resistance of material surfaces. 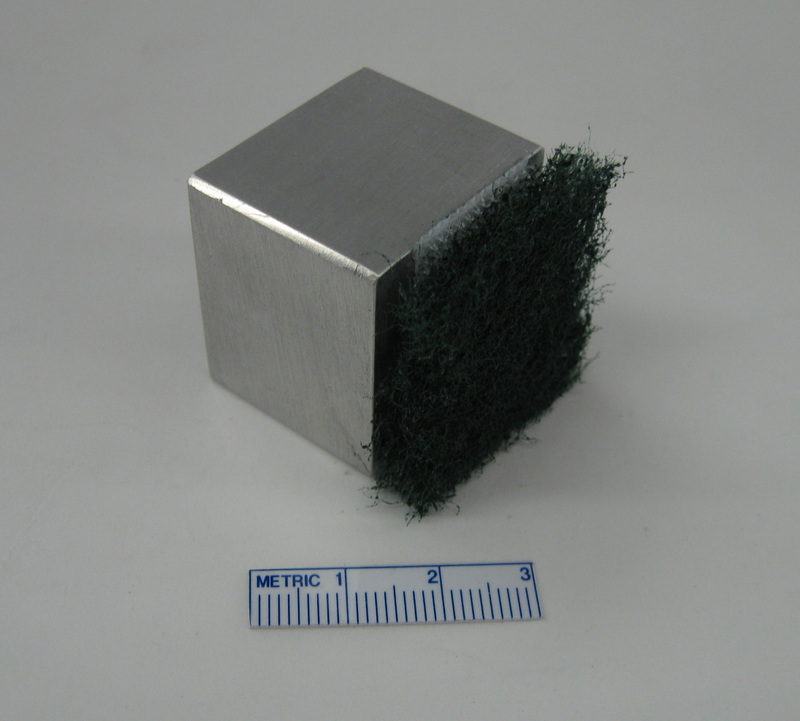 The holder includes a compressible rubber pad which has been affixed to the contact surface, and is intended to keep the steel wool in place during testing. A 3mm Borosilicate Sphere holder allows disposable 3mm spheres to be used for scratch testing. 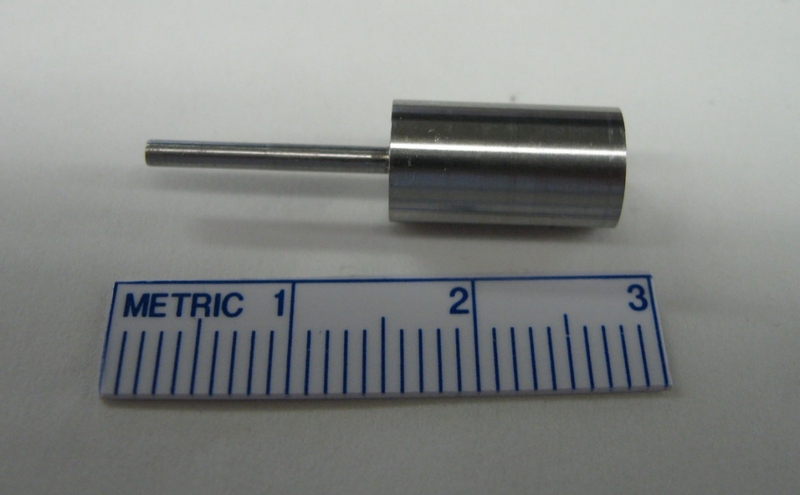 General Motors reference a 5mm Scraper or 10mm Scraper for testing of automotive carpets.